Wilbur spent the week getting ready for his move to Susie's which we had tentatively scheduled for Saturday. He got a rabies vaccination (uncommon for vets to give in the Easy Bay), a trim and shoe reset, and wormer. It was a super busy week at work so when Susie called to finalize plans on Friday afternoon I was grateful that SHE was following up on things! 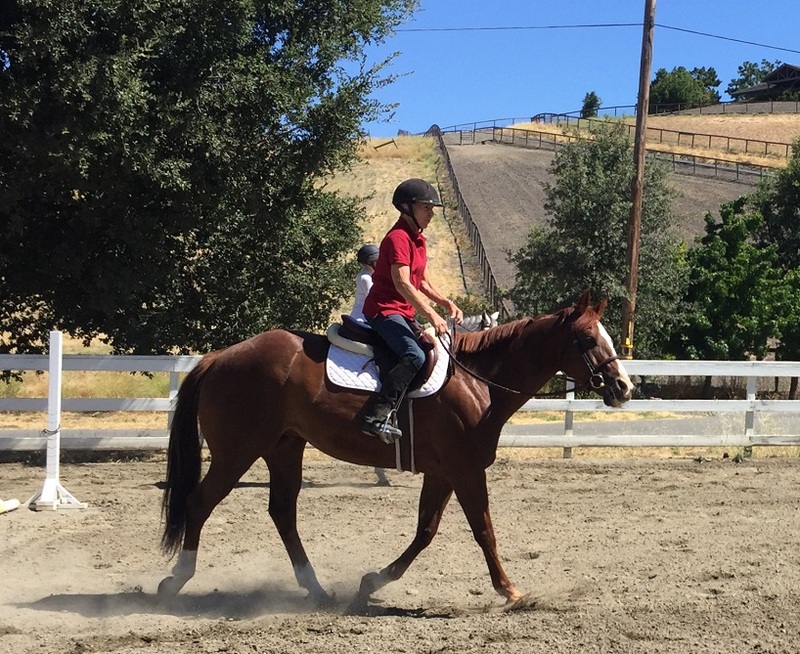 I had the chance to give him a quick ride on Saturday morning, then Susie hopped on for a few minutes, and they even went to work opening and closing the arena gate. 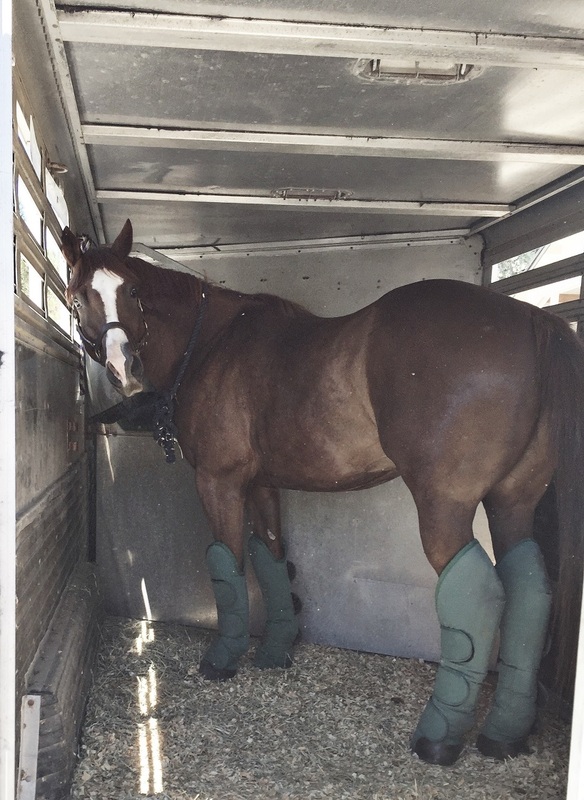 We tossed some shipping boots on him, I handed over his fly mask, and he stepped right into the trailer. Susie called once they got home to let me know he traveled like a champ and had already face planted into grass. And then emailed today to let me know that he had survived his first night and had already made friends with his pasture mates. 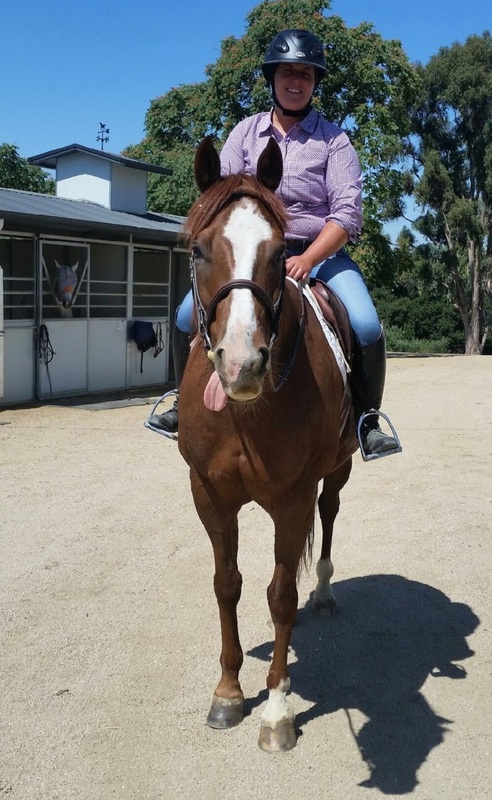 He's going to live the life being a pasture buddy and guest trail horse. Susie's property is beautiful and I'm not sure this situation could have worked out more perfectly!